A survey has been completed few weeks ago by our users in order to find the best ways to improve our mobile users' experience. We had been working on an update for a few months but could introduce three new features thanks to your feedback! 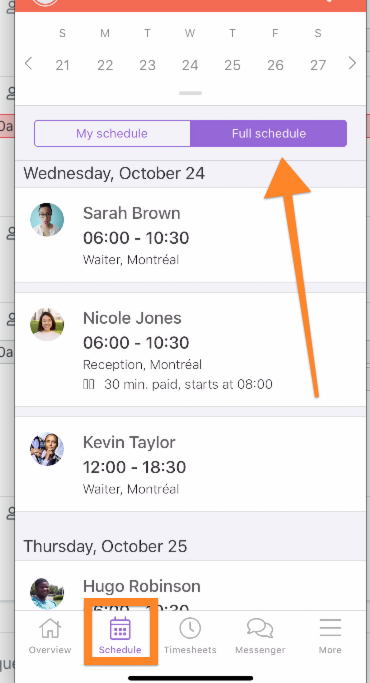 The calendar view is now accessible in the mobile app through the "Schedule" menu by sliding or clicking on the top of the screen. 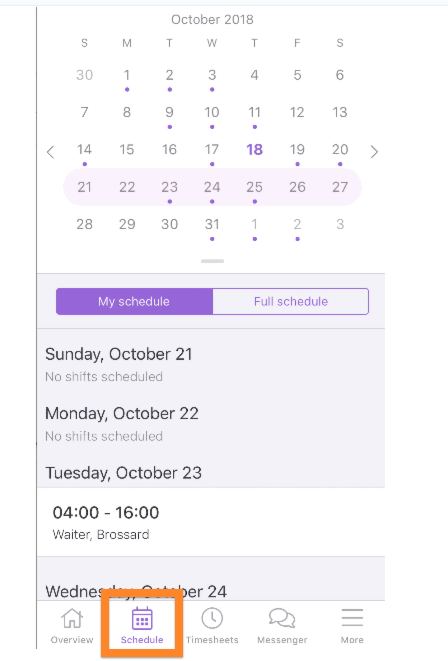 Dots will show on days where you have a shift. Your manager must have enabled the feature in your profile. Several users wish to see the full schedule of their colleagues on their mobile app. Although this feature is already available, we changed its placement in the "Schedule" menu. A widget on the top right of the screen will allow you to filter by position, site or even name.